Get your first reports in just a few minutes! 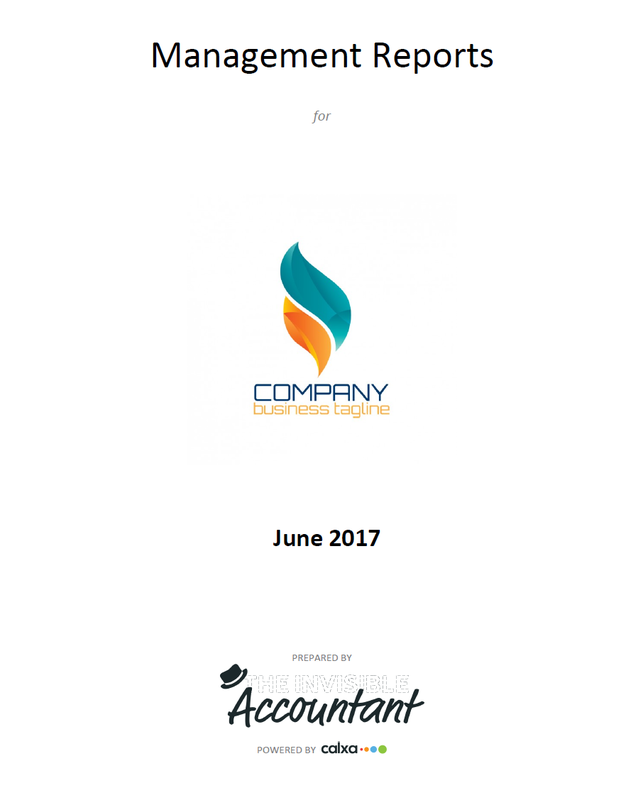 I'll put your logo on the reports - it makes them yours! This helps too if you send the reports to your bank manager or accountant, they’ll know exactly whose numbers these are. 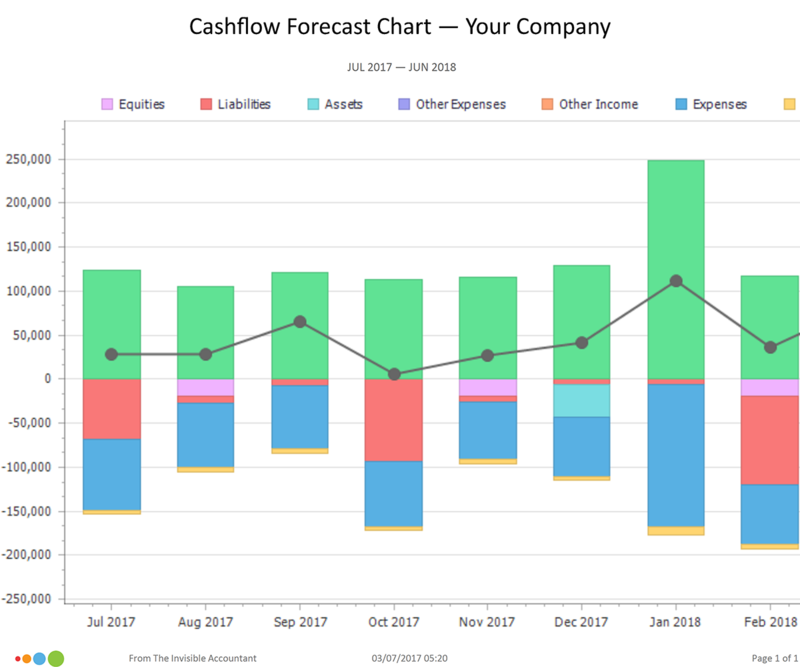 Each month, your cashflow forecast chart will give you a prediction of your bank balance month by month into the future. The line is the important element – that is the prediction of the bank balance. It will give you warning of potential problems. Sometimes called the Measuring Report. 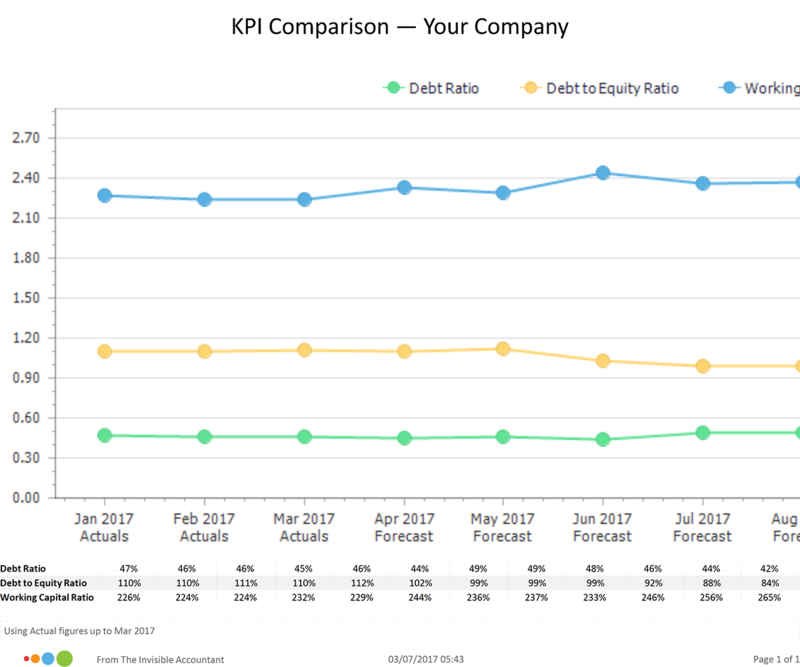 It looks at your performance for the current month and shows how you’ve measured up to your budget. It then does the same for the year to date as that will smooth out anything that’s just a timing difference. Showing you next month’s budget and the full year budget, it is the perfect report to keep your finger on the pulse. 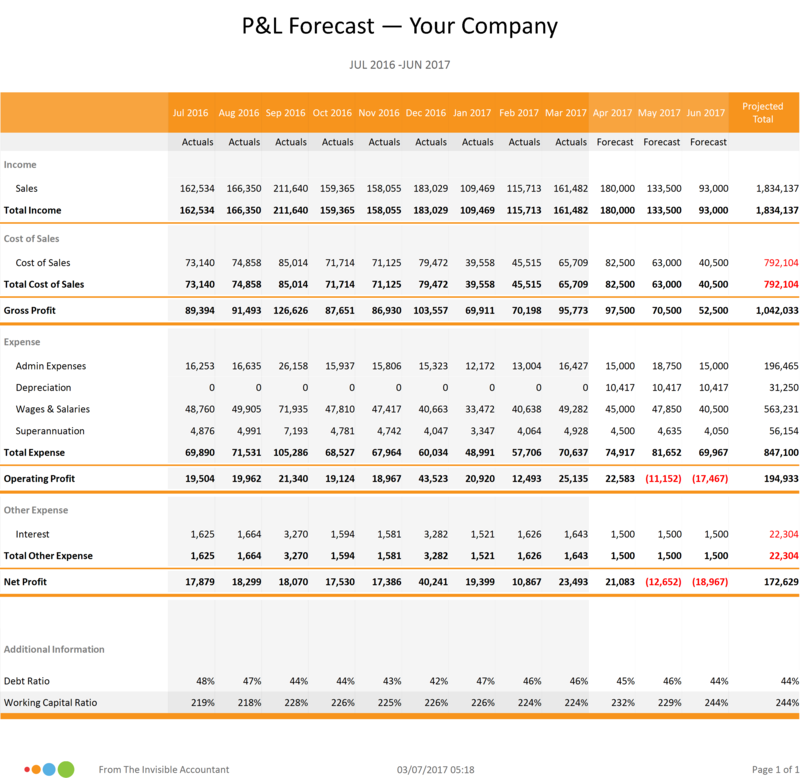 The Profit and Loss Forecast report is the one for monitoring trends. It will show you actual results for completed months of the year and the budget for the remainder. The cherry on the cake here is the additional projection of where you’re likely to be at the end of the financial year. You’ve been watching the sales roll in, you’ve been keeping a close eye on expenses and your month end report shows a healthy profit. But there’s nothing in the bank! 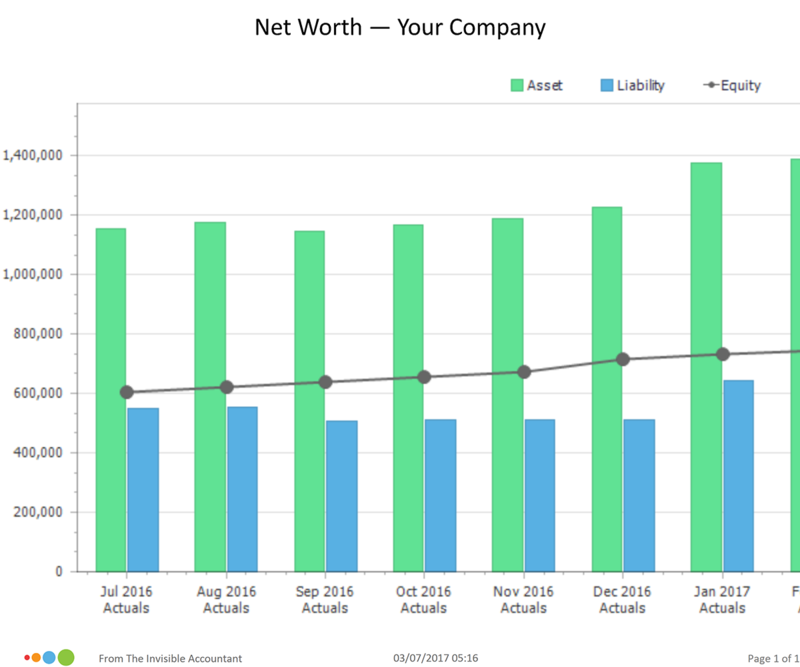 The line on the chart represents your Net Equity - the difference between your Total Assets and Total Liabilities. It represents your stake in the business. 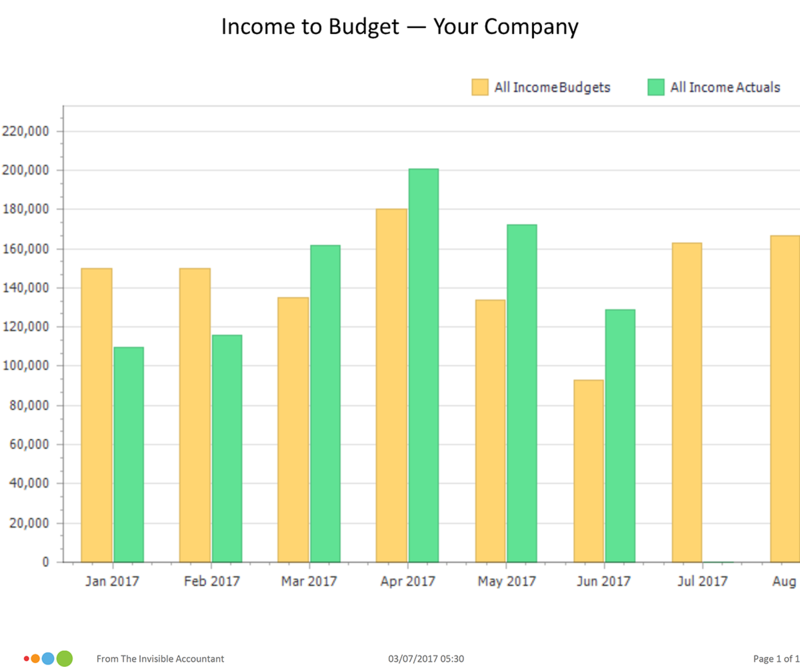 The chart starts at the beginning of your financial year, showing the actual result for each month and the budget for future months. You want to see this line trending upwards! Comparing your actual income to budget gives you a good idea of how you are trading. It answers things like "Are you selling more than previously?". Where the green bars are higher than the yellow ones, you're having a good month. Once in a while, I like to drop these ratios into your bonus pack. Debt Ratio, Debt to Equity Ratio and Working Capital Ratio are great indicators used as an early-warning signal of upcoming cashflow problems. Monitor them and watch the trends. If they're heading the wrong way, get advice – before it’s too late! This chart gives you the reason to get up in the morning. 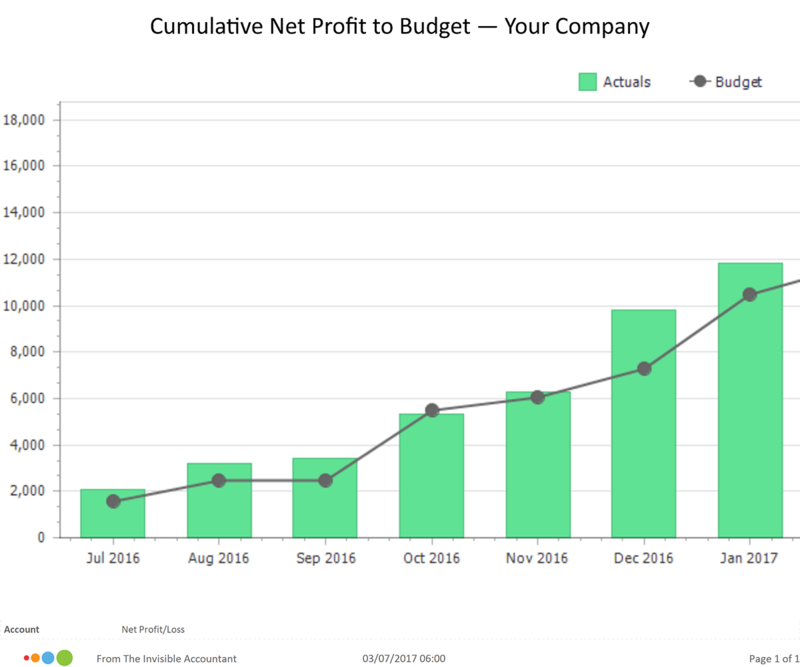 It displays your net profit for the year-to-date compared to your budget. When the bar is higher than the black line, you're doing well. Links to online accounting software like QuickBooks Online, Xero, MYOB Essentials, and MYOB AccountRight. No need to set a budget. We’ll create one from your actuals based on the previous financial year. You can rest assured that you’re getting professional-quality reports for a fraction of the cost. 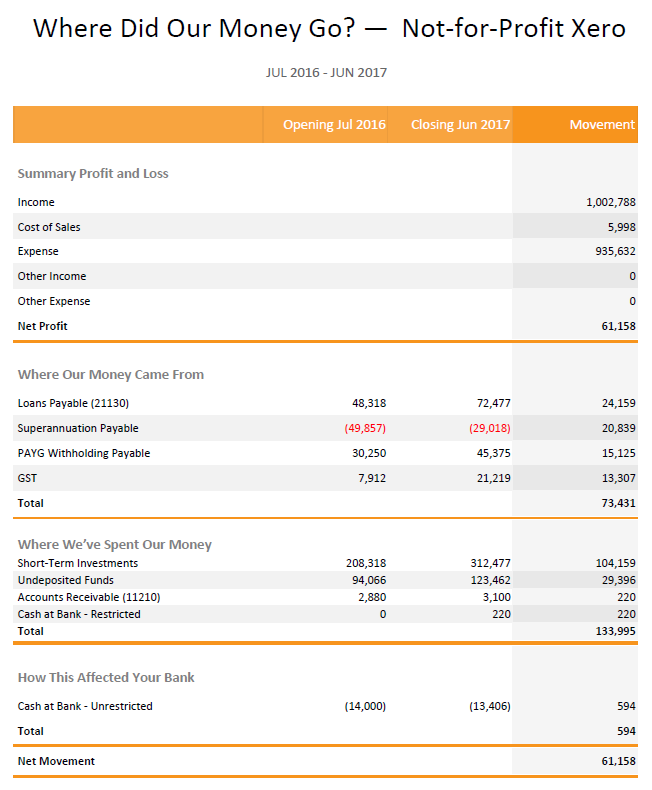 Calxa is a financial reporting tool used by accountants and both small and medium businesses around the world. Your accounts are in the cloud so I can connect. Xero, QuickBooks, MYOB Essentials, & MYOB AccountRight. 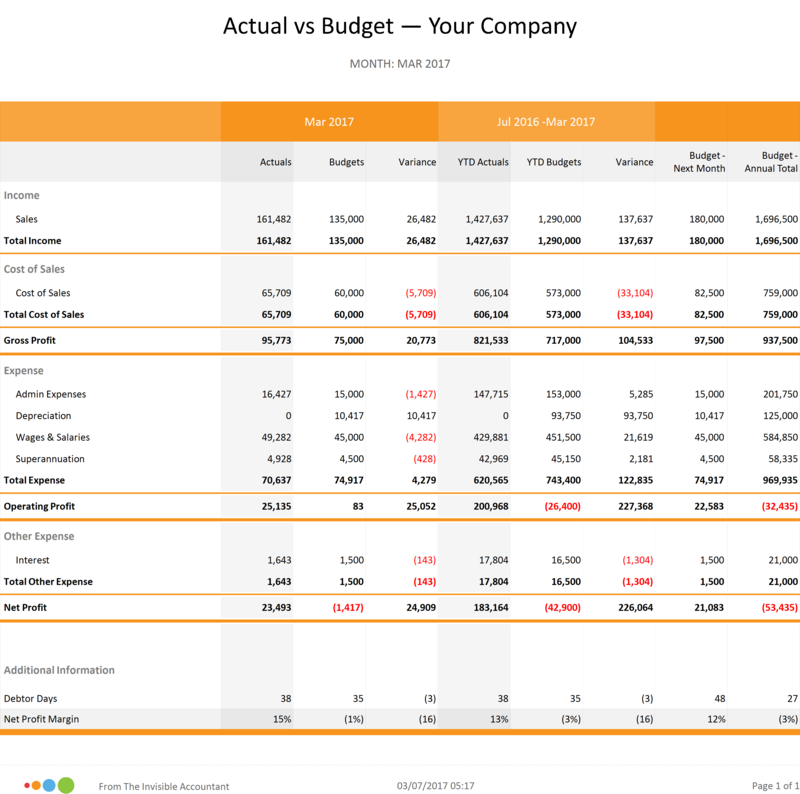 You have data for the previous year which I use to create an auto-budget, so that you don’t have to do anything. Nothing else do to – don’t lift a finger. I have everything I need to deliver you business insights automatically. To make this process as easy on you as possible, I create an auto-budget based on your last financial year’s figures. If you want to have input into your budget, then you should look at Calxa. You can re-run the reports at any time after you tweaked your accounts data. What you can’t do is change the reports or their sequence – I make that decision for you. All this may sound like I’m inflexible. But I have formulated this for you based on my experience with small businesses. The way I see it: it’s better to do something than not do it at all. Our relationship is month-to-month. If you want to break up with me, we can part our ways any time you like – just say the word and I will disconnect and stop the payments. No hard feelings. Calxa is the underlying technology. It was recently voted the most favourite app with accountants and bookkeepers. So I know I can deliver the most accurate reports – on time, every time. Several of my clients are hooked up to The Invisible Accountant. They love getting their monthly reports. The Invisible Accountant links to cloud accounting systems only. For it to work, your accounts need to be on QuickBooks Online, Xero, MYOB Essentials or MYOB AccountRight.